It’s been raining pretty heavily today. 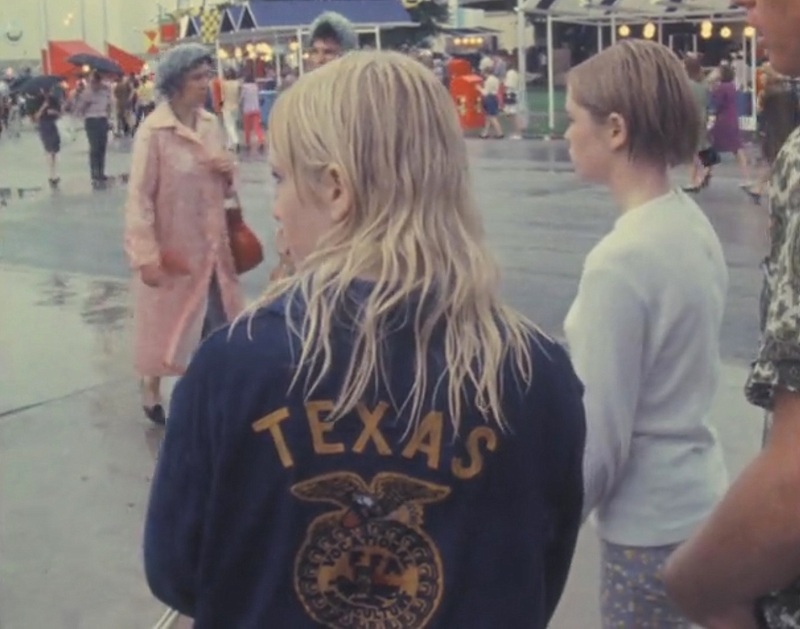 And the State Fair of Texas is underway. I always feel bad for the people visiting and working at the fair when it rains like this. What a disappointment! 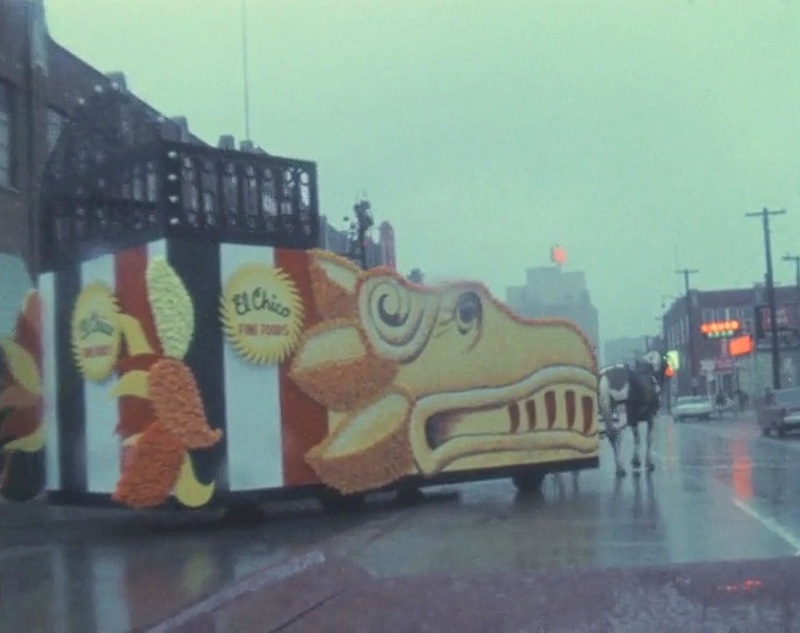 Watch rainy footage of the parade preparations downtown and wet-haired teenagers at the fair in an atmospheric clip shot by WBAP Channel 5 News cameramen, collected and digitized by UNT (see bottom of this post for more info). 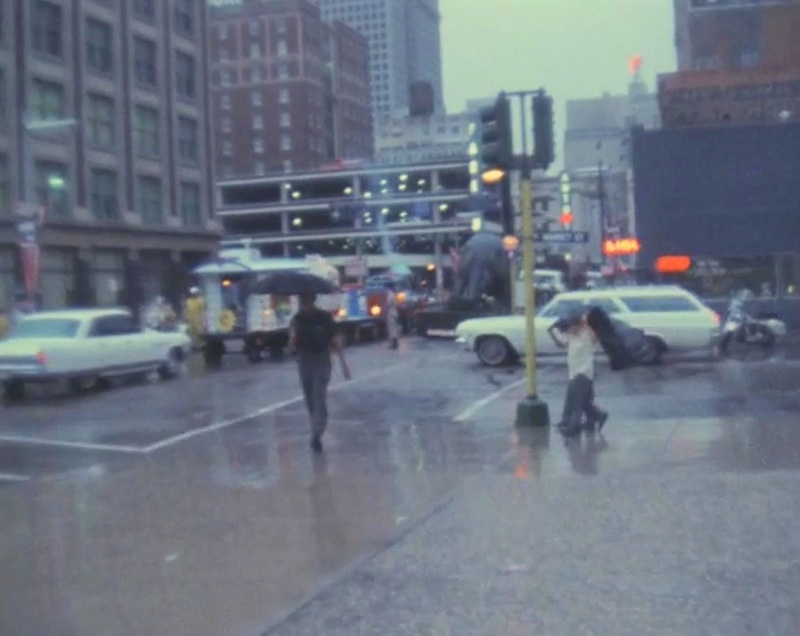 The 1:47 film footage can be viewed here (be sure to watch it in full-screen mode). At the top, a girl from Carthage, wearing a Future Farmers of America jacket (it was Rural Youth Day, and the FFA was well represented) as well as a couple of ladies in coif-preserving plastic rain bonnets. El Chico float getting soaked. 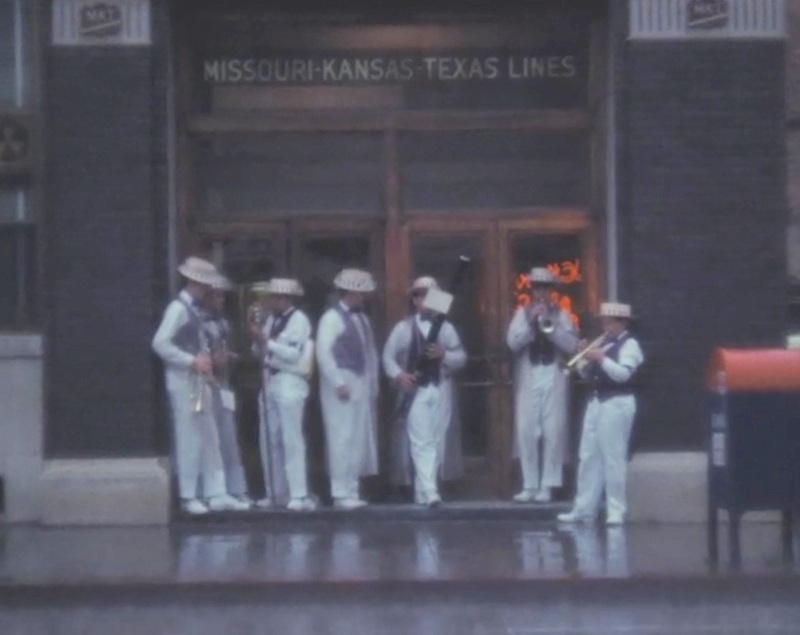 Marching band guys taking shelter. A break in the precip — rides are revved up. 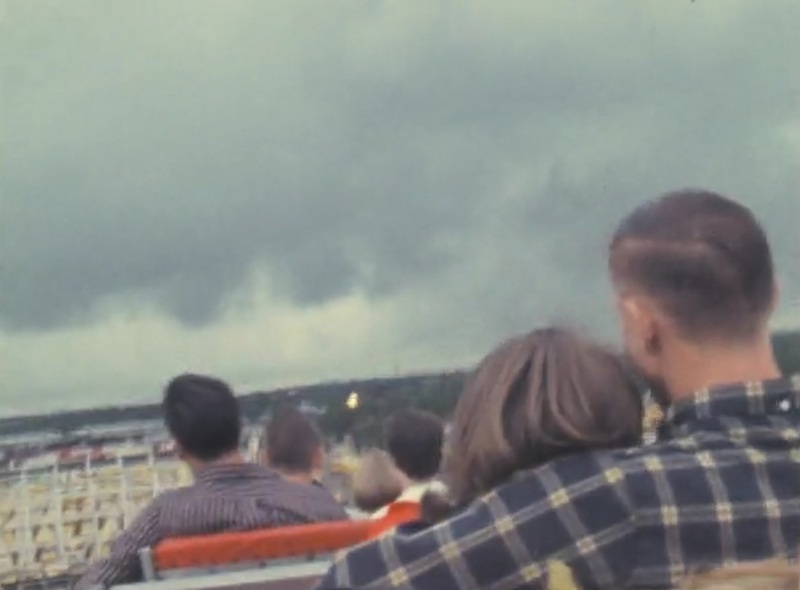 Menacing clouds as seen from the top of the Comet. 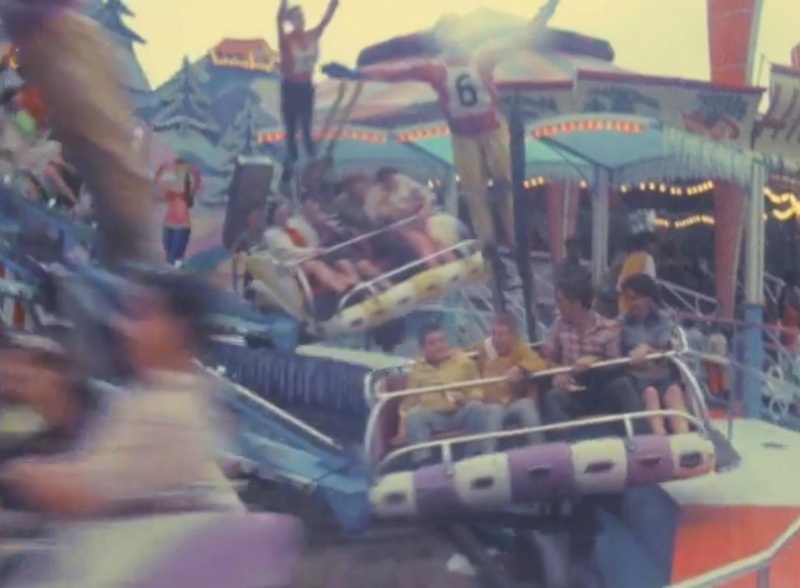 Screenshots are from the video titled “News Clip: 1967 Texas State Fair Begins, Parade Rained Out.” It is part of the KXAS-NBC 5 News Collection and was provided by UNT Libraries Special Collections to The Portal to Texas History, a digital repository hosted by the UNT Libraries. 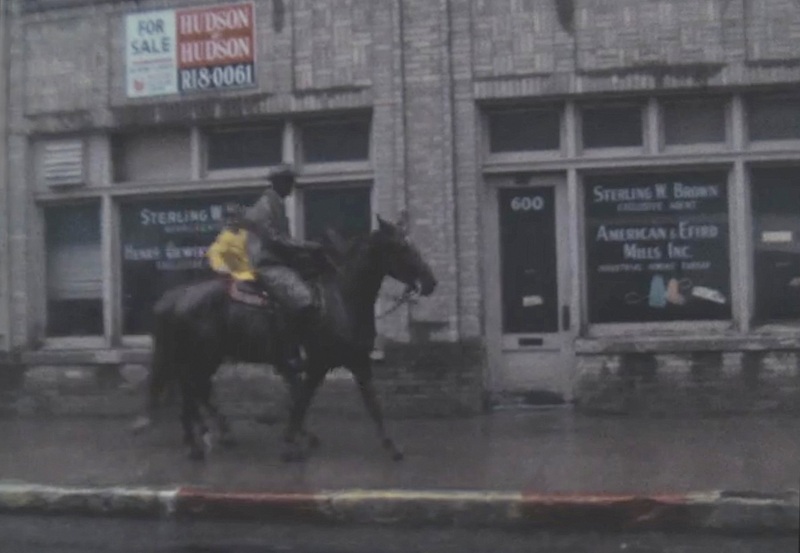 More info — including the video itself — can be accessed here. 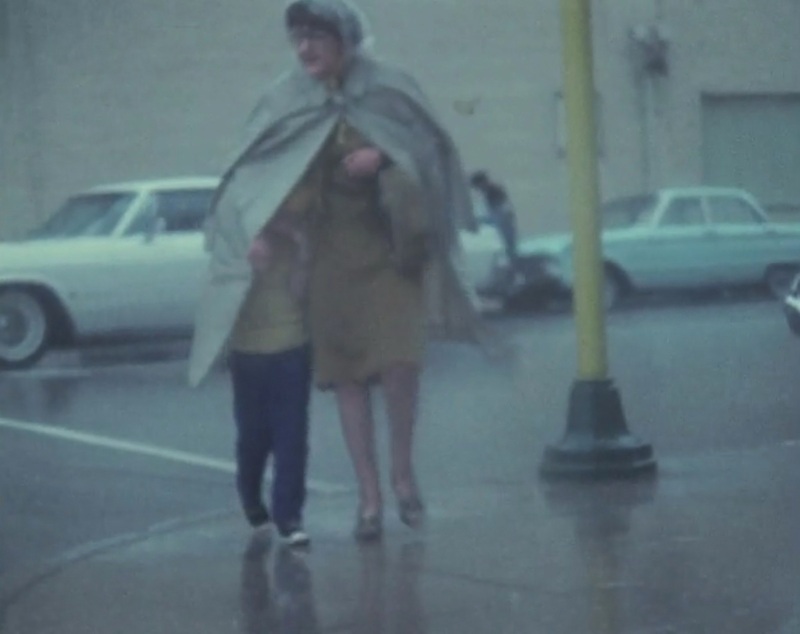 More rainy-day SFOT weather can be seen in this clip from 1970, courtesy of SMU.